The headlines this week demonstrate how ubiquitous maps have become; yesterday alone there were at least 5 maps being used by The Guardian and the BBC to illustrate information to their audience. It is clear that both the type of information and the way it is being visualised are evolving but also that map makers and map users are diversifying. With the Gaza conflict dominating the news, The Guardian is using data provided by reporters, officials and the general public alike to create a current, interactive Google Map of airstrikes and explosions in the war zone, which is constantly being updated as information unfolds. This emerging method of data collection, known as ‘crowdsourcing’, is largely facilitated by social media and is, notwithstanding accuracy and reliability issues, concurrently increasing in popularity and accessibility. However, it is not only quantitative data that can be mapped effectively; an interactive Google Map published by The Guardian yesterday depicts their news coverage of the ‘Sahel food crises’ over the past year. Whilst this form of representation and design may give professional cartographers nightmares, this method of visualisation opens up new ways of identifying spatial and temporal connections and relationships from qualitative data sources. In an article for Transactions, Rob Kitchin, Justin Gleeson and Martin Dodge argue that cartographic theory has seen a shift from a “representational to a processual understanding of mapping” and discuss what this means for cartographic epistemology. Using their experience of mapping ‘ghost estates’ in Ireland, a public geography project, Kitchin et al. demonstrate how maps “unfold through a plethora of contingent, relational and contextual practices” and show how maps are being made (and re-made) in diverse ways as solutions to everyday problems and tasks. Cartographic theory is evolving and maps are becoming fashionable again. To me, one in particular highlights the exciting developments and opportunities maps can provide – Paul Butler’s map of Facebook connections. This does not map Facebook membership or borders and boundaries, yet the world, albeit a slightly distorted one, is clearly visible – a map of human relationships. As the journalist, Simon Garfield, states in his book ‘On the Map’ – “It was a map of the world made by 500 million cartographers all at once”. This entry was posted in Early View, Transactions of the Institute of British Geographers and tagged Cartography, Development, Earth Observation, Environment and Society, Facebook, Gaza, GIS, Google Maps, maps, Sahel food crisis on November 21, 2012 by Jen Dickie. With the film ‘Social Network’ being nominated for six Golden Globes in 2011, Facebook is rarely out of the media or off our screens. The image above, taken from a BBC article visualises our Facebook connections. The map is the work of Paul Butler, a Facebook intern who has attempted to show where 500 million people live in relation to their Facebook friends. Each line connects cities with pairs of friends, the brighter the line, the more friends there are. On Butler’s blog he writes that “not only were continents visible, certain international borders were apparent as well”. This map, although showing physical features of the world, highlights the human relationship, not the political or environmental. 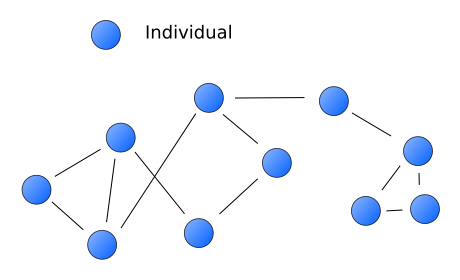 Lai (2009) suggests that ‘research agendas have shifted away from the taxonomic description and constructing hierarchies to examinations of networks and flows…reflecting a methodological shift from quantitative methods to more qualitative approaches of interviews, cultural analysis and ethnography’. Lai goes on to say that this recognition leads to better appreciation of the specific historical circumstances and contexts that contribute to the contemporary development of global(ising)cities and influence their integration into the global city network, as highlighted by research into post-colonial, post-socialist and other ‘alternative’ cities. This is an important point within the context of this article as one can see from the map that large areas of the world are missing from the Facebook network, in particular China and central Africa, where Facebook (and I would argue, the Internet) has little presence. These areas are missing due to many factors, including political and economic, but historical and development factors cannot be ignored more contemporarily. BBC, 14 December 2010, “Facebook connections map the world“. Lai, K (2009) ” New Spatial Logics in Global Cities Research: Network, Flows and New Ploitical Spaces“, Geography Compass, Volume 3, Issue 3, Pages 997-1012. Paul Butler, Facebook, 14 December 2010, “Visualising friendships“. This entry was posted in Geography Compass and tagged Cultural Geography, Development, economic, Economic Geography, Environment and Society, Facebook, Flow, Global Issues, internet, network, Social network on January 14, 2011 by Kelly Wakefield. Earlier this year “How Many Friends Does One Person Need?” was published, written by Robin Dunbar. Currently a Professor of Evolutionary Anthropology at Oxford University, the number 150 is attributed to him as “Dunbar’s Number”. This being the maximum number of acquaintaces one can have. For those of us that do have an active Facebook account, the number of 150 ‘friends’ may be slightly lower or slightly higher than what our profile suggests. However, these ‘friends’ are not necessarily people we speak to everyday, every week or even every month. They may be people we have met once, knew from many years ago or may be just a mutual friend. 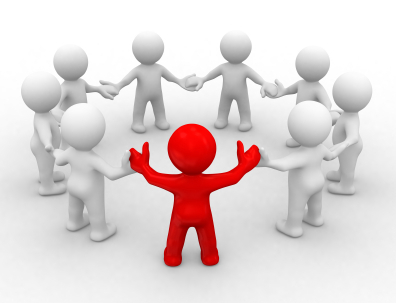 These so called ‘friends’ on social networking sites such as Facebook are called ‘weak ties’. A recent article in New Scientist, ‘Why Facebook friends are worth keeping’ discussed the possibility that these weak ties have a much greater impact on ones life than they necessarily should and are transforming our social structure. For example, research conducted at Harvard University has studied the various ways we communicate using social media. By building a ‘supernet’, that is a network of easily accessible contacts, many people now turn to these networks ahead of newspaper sources for information. The New Scientist article suggests that studies have revealed that these ‘weak ties’ may benefit our health and happiness. The down side to this though may be the fact that social networking is good for maintaining friendships but possibly not building them, still relying heavily on face to face contact. Nevertheless, maybe all that time spent on Facebook isn’t such a waste? After all, if one conversation or piece of information produces something positive then it may be a useful way to spend an hour (or more) a day. This entry was posted in Uncategorized and tagged Cultural Geography, Economic Geography, Facebook, Friends, internet, Networking, Social Geography, Social network on July 16, 2010 by Kelly Wakefield. In the past few months the social networking site, Facebook, has been implicated in the investigation of various criminal activities. From the exploits of the ‘Facebook Fugitive’ (Times online), to the recent and tragic death of Hayley Jones (BBC news), it is clear that online social networks are becoming increasingly important (and sometimes intrinsic) in understanding the motivations for certain criminal activities. But why, we might ask, do the virtual proofs of these often horrific acts remain central to the reportage? Why is it so often surprising that remnants of our virtual, intangible worlds cast shadows in the spaces of the real? 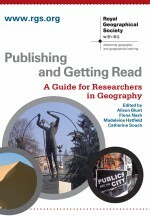 Writing in Geography Compass, Clayton Rosati argues that “one of the geographically important representational dimensions of media is their ability to make geography seem irrelevant, to shatter the connections of culture to land…and to alienate images from the contexts of their production” (999). “Whilst there are now not many aspects of social life – from grocery shopping to wedding registries – that do not rest on some form of digital communication” (1005), there remains a lack of focus on the “spatial contours of [certain] social forms” (996). Much like the case of the use of fiction to interpret political and cultural realities (c.f. Tabloid Geopolitics), we must realise that media, images and networks must necessarily be considered alongside, and in parallel with, our more conventional treatments of space and place. And so, while images and networks “are obviously important, they can never form the basis of a media politics in themselves. They must, alternatively, always be understood not simply as an object but as a process as well – as power in circulation” (1000). Read Rosati C (2007) Media Geographies: Uncovering the Spatial Politics of Images. Geography Compass. This entry was posted in Geography Compass and tagged Cultural Geography, Facebook, Media Geographies, Political Geography, Representation, Social Geography, Social Networking, Space and Place, Urban Geography on October 6, 2009 by matthewrech.